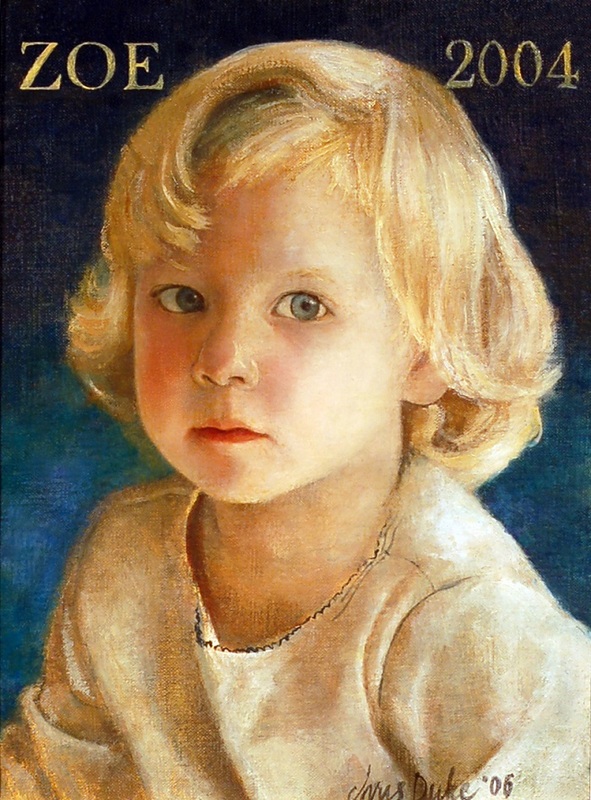 This is an early painting of my husband’s granddaughter, Zoe. I love the light and Zoe’s mysterious, penetrating gaze. Aiming for a timeless effect, I removed the bold black zebra stripes that were on her little shirt. Simplicity works here.